Add comfort and style to your space. The pace and scope of your project is entirely up to you. Whether you want to work on one or two rooms or a whole house, we are ready to get started. These projects include design concepts, furniture plans, selection of furnishings such as floor coverings, furniture, window treatments, lighting, art and accessories. We will design custom made furniture, cabinetry and built-ins. We will purchase for you and install everything down to the last accessory. We will manage your project from conception to completion. Transform your space in ways you may not have thought possible. Whether you have a kitchen, bathroom or an entire house that you plan to renovate, we will guide you through the process. We can refer seasoned general contractors and tradesmen for your project. Renovation projects include project administration, space plans, lighting plans, millwork drawings, elevations and architectural details as well as cabinetry, countertop, flooring, appliances, stone and tile, plumbing and paint. We will coordinate and mange all design aspects of the project with the general contractor. 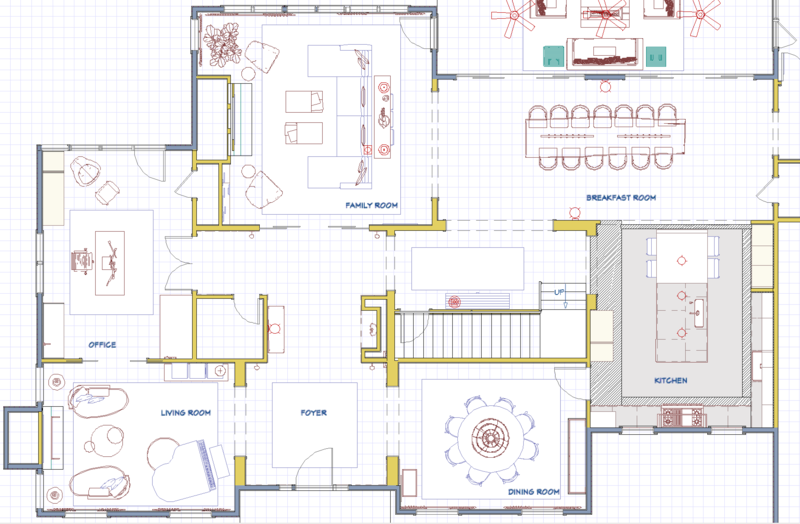 Create the perfectly designed home for you and your family. We work closely with the architect and contractor at the very beginning of a project to ensure your new home not only focuses on architectural elements, but considers furniture layout as well. We give guidance on space planning, electrical locations, window and door selections and fireplace designs. We will work with you to select lighting and all interior finishes such as, cabinetry, flooring, countertops, stone and tile, appliances, plumbing and paint. We begin by identifying what is important to you and how we at Lotus Interior Design can meet your needs. We discuss goals, needs, wants, timelines and budget. We work together to map out a scope of work that will inform the fee for the project. We take measurements and photos of the space to really understand it and how you will be living within it. We will also complete plan reviews and note requirements for the project to make sure we have a strong beginning. 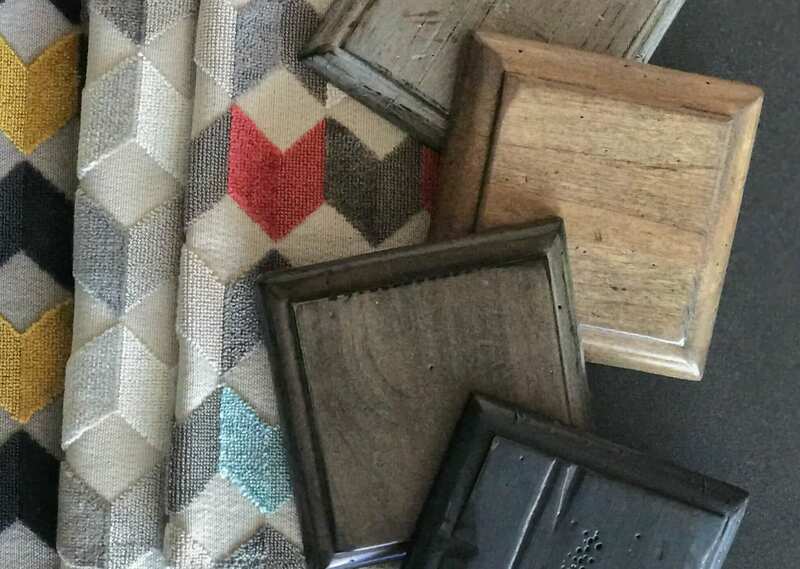 We use our design knowledge to develop a scope of work, drafts plans, develop initial design concepts, pull fabric samples, select initial product suggestions, materials and finishes for you to review. Once we have worked with you to review and approve every detail of the plan, we finalize selections, drawings, furnishings, designs and materials. Pricing is provided for all items purchased through Lotus Interior Design. Once this is complete, we will order and coordinate shipping of furnishings and materials to the space. We will manage the delivery and placement of all furnishings in the space, as well as manage the construction. We stay by your side until the entire project is complete and you’re thrilled with your new space. A beautiful and functional space that supports the growth and changes of your life. 15 years of experience in residential & commercial design and architecture. A strong technical background and knowledge of the entire construction process. Personalized one-on-one interaction, directly from the principal designer. Access to an extensive network of our favorite vendors, artisans, architects and contractors. The ability to see and access your project’s selection, timeline, deliverables and fees any time. A personalized approach that reflects your unique vision, lifestyle and budget.